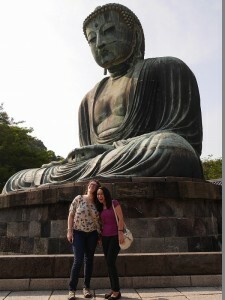 Today was our full day visit to Kamakura! Despite getting stuck in traffic for a while, the participants were able to enjoy a traditional, vegetarian Buddhist meal for lunch. 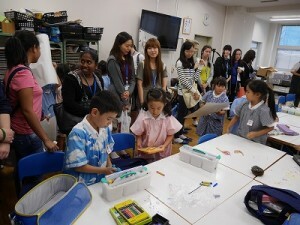 Later, they visited a temple, where they got their fortunes told and bought cute good luck charms! 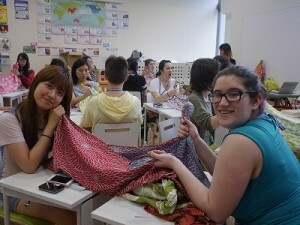 Some of the students also explored the streets for shopping, and bought sweet potato ice cream and more souvenirs! 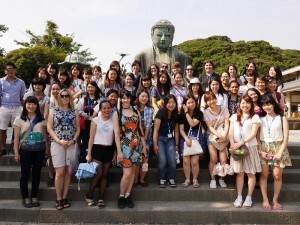 Our final stop in Kamakura was the Great Buddha statue, which some of the students were able to go inside of! 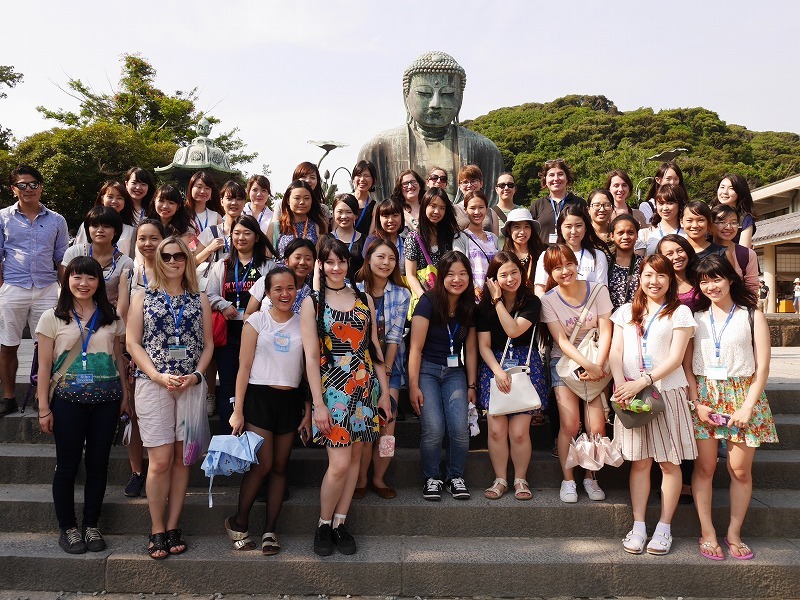 Even though it was very hot, everyone was in bright sprits to be exploring the historical town of Kamakura! 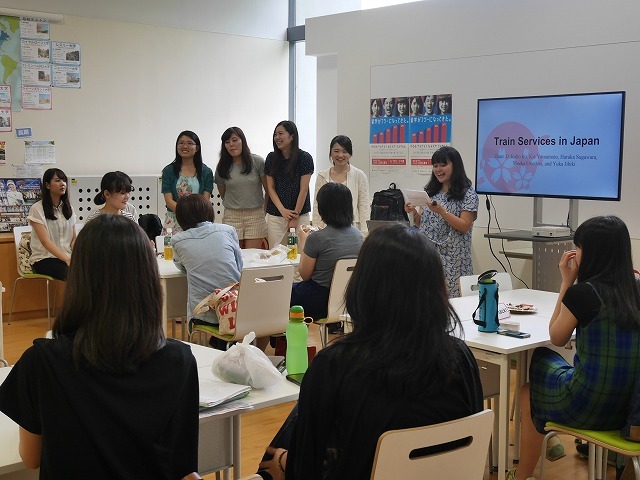 The first event of the day was the presentations of the final Cross-Cultural Collaborative projects of this year’s SSIP participants! 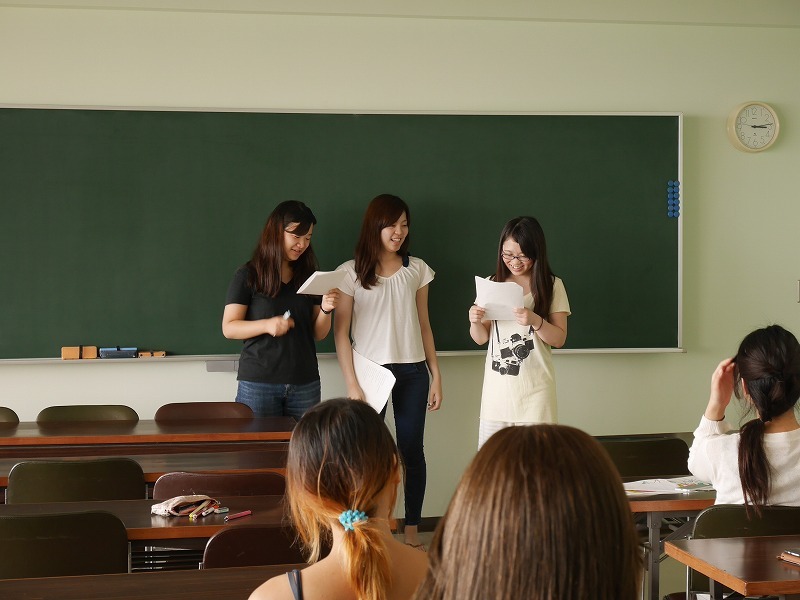 Several of the groups improved tremendously from the practice presentations, and many of the revisions should the amount of work and dedication the students put into their plays. 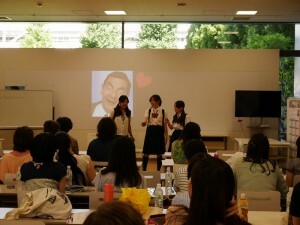 The plays ranged from serious to silly, but overall it really seemed like all of the Cross-Cultural students were able to learn about education and its importance. 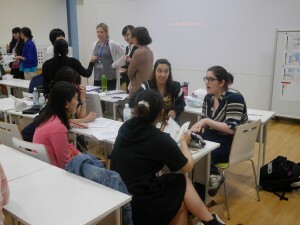 Each play was thought provoking and elicited discussion afterwards, which means the workshop was a success! 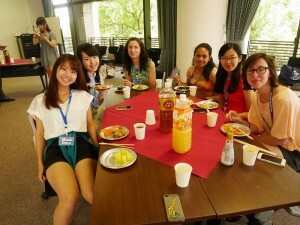 At the farewell party, delicious food was provided, memorable pictures were taken, and many tears were shed. 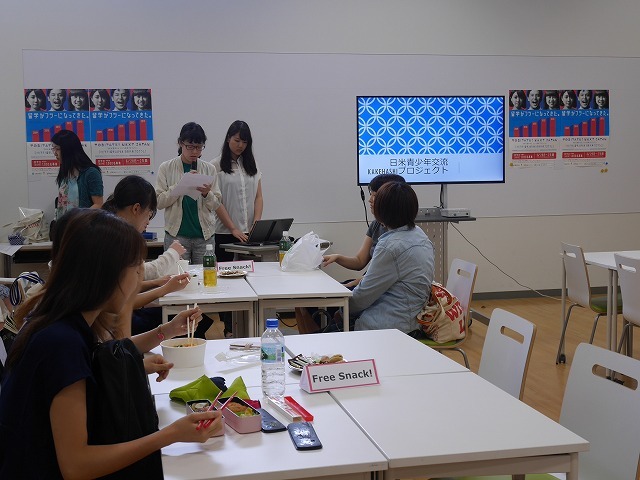 The staff and interns were able to give a speech about the program, and a short movie was played with photos and music as a reflection of the good times of the program. Many of the students expressed that this was not goodbye, but just a “see you soon!”, with some even planning a reunion in the future. 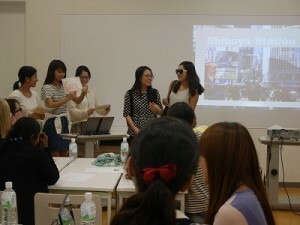 As the party came to a close, the students began to part ways, but we said goodbye hoping that our paths will cross again in the future. 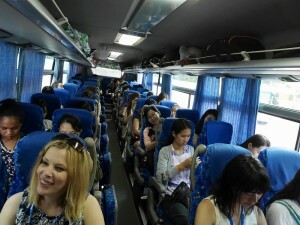 After lunch we traveled to Tomei Gakurin by bus, where everyone primarily slept. 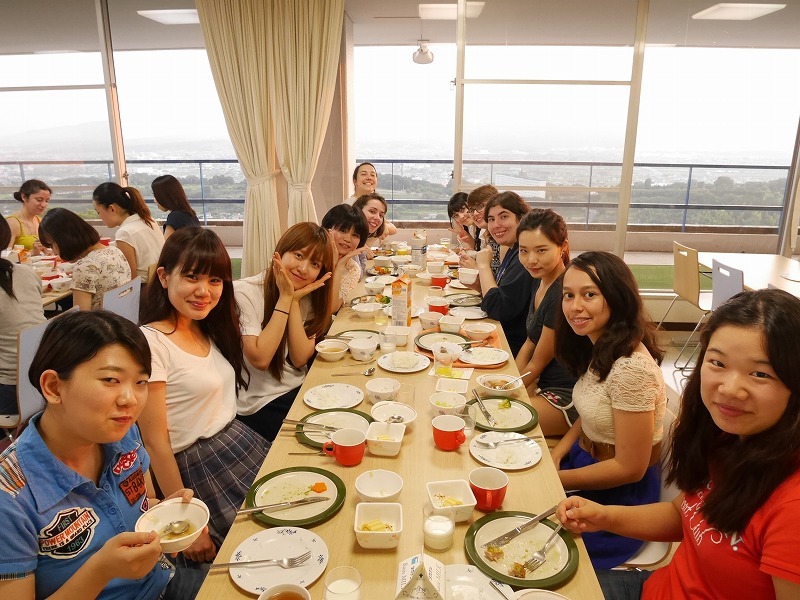 Once we got to the facility, we were able to stand on the balcony outside and, despite the fog, got to see the glimpse of Mount Fuji from a distance. 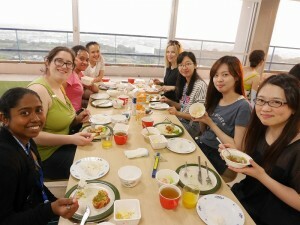 With free time for the rest of the day, everyone got together and enjoyed their time of relaxation. 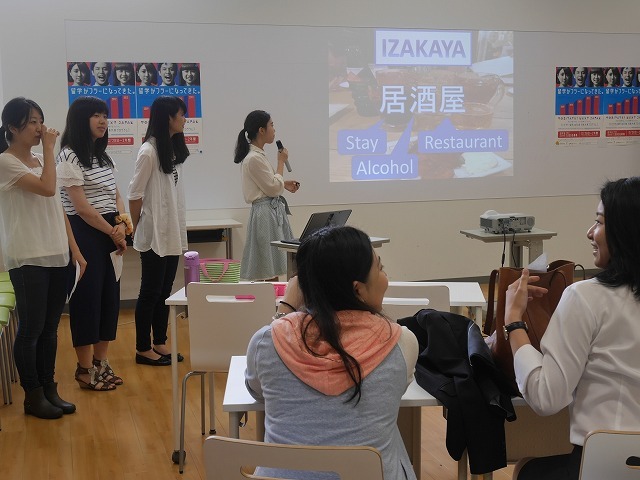 For a full day, everyone worked hard on their final presentation play! After many discussions and planning, the students were able to rehearse in front of one another in groups and give constructive criticism, which was helpful for many! We started off today with a lesson on furoshiki or Japanese cloth-folding by Etsuko Yamada, a well knowned furoshiki cloth maker! 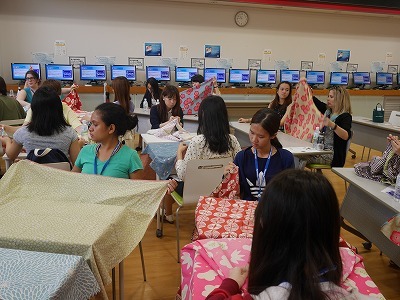 SSIP participants were welcomed to beautiful cloths on their desks and a brief history of furoshiki, which actually goes back over 1,300 years! 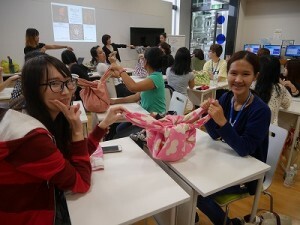 Participants were taught multiple ways to use the furoshiki from its traditional uses in transporting objects such as bottles and food, to being incorporated as part of modern fashion. 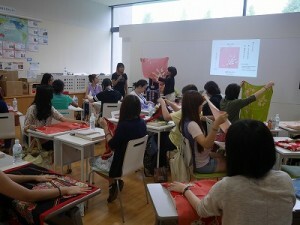 Participants were thoroughly impressed by the versatility of the cloth and got to take one home at the end! 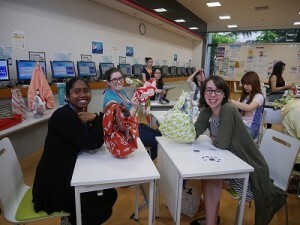 All in all, we had a great time and we learned some valuable techniques to using furoshiki! 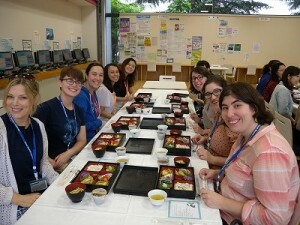 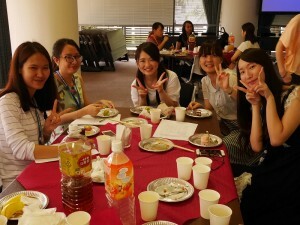 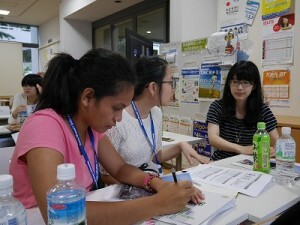 For lunch, the students were given the opportunity to talk to Japanese women over a buffet lunch in the Global Lounge. The Japanese women shared stories of where they traveled, what kinds of jobs they held, and what a normal day for them was like. On top of that, the students were able to ask questions that they have had about Japanese culture and here it from women with a multitude of perspectives. 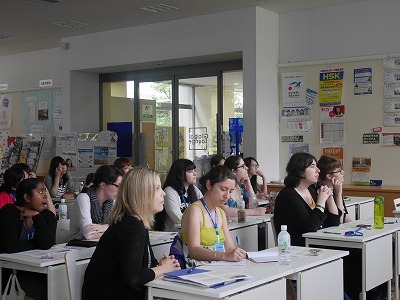 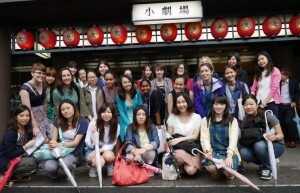 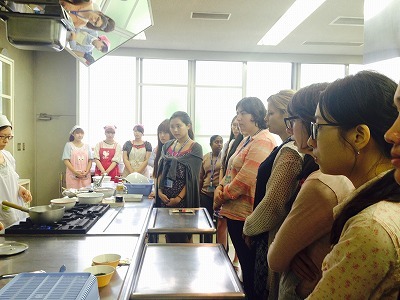 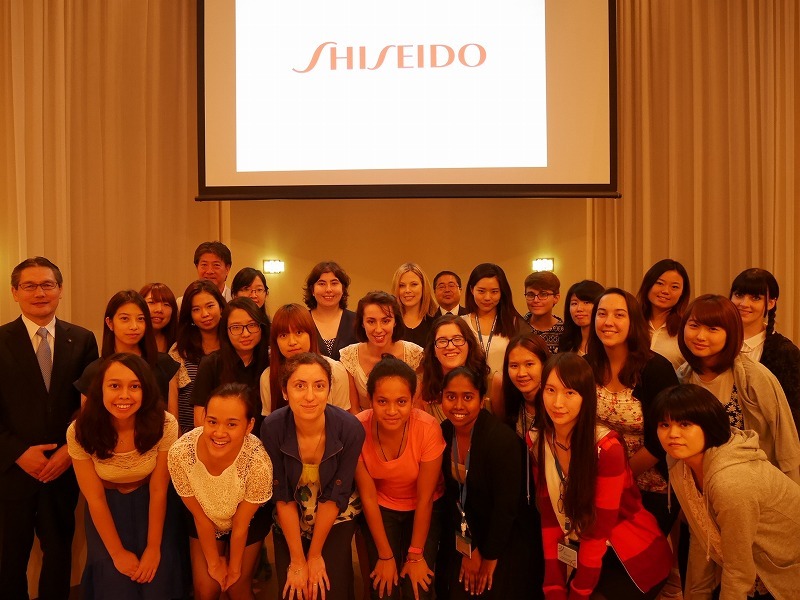 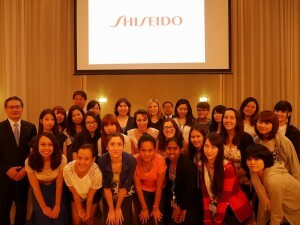 It was a great opportunity for our participants to learn about women in the Japanese culture! 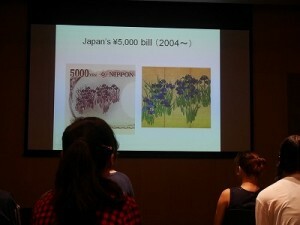 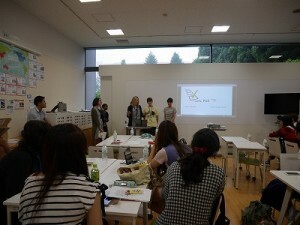 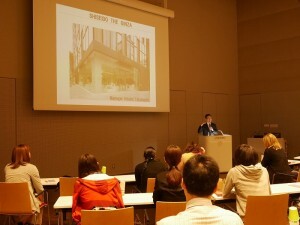 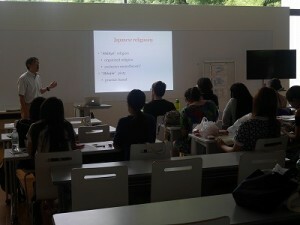 For today’s workshop, the students presented their projects about the Kanazawa Museum that they visited last Saturday. 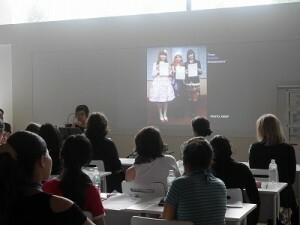 The groups were really creative with their presentations, with some groups even making their presentations interactive! 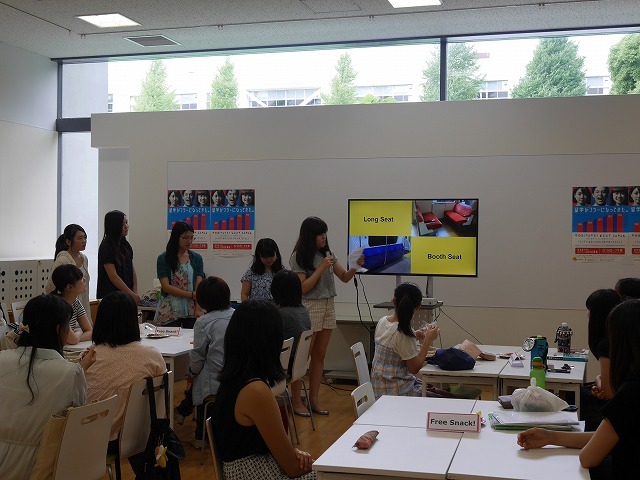 Overall, everyone was able to convince the audience in a fun and engaging way to visit the museum, making every group presentation a success! 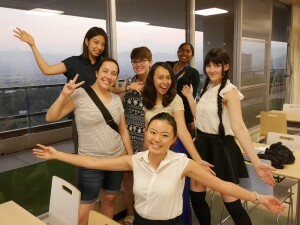 The students spent their last free day exploring the last corners of Tokyo to go on shopping trips and explore some last minute scenery before going to Tomei Gakurin the next day! 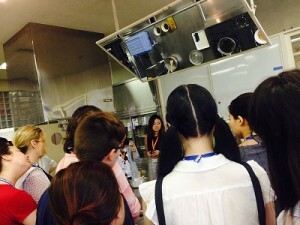 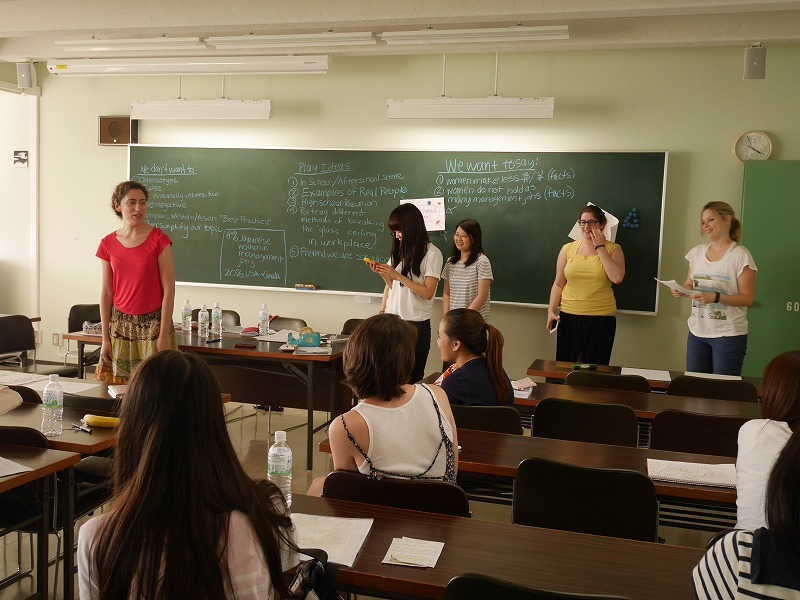 Today the SSIP participants visited the classroom of Professor Imai, who taught the students about Japanese etiquette and cuisine! 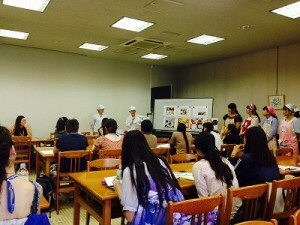 After having some of her Japanese students present a short description of their favorite dish using pictures, the students were able to see a live demonstration of how green tea and warabi mochi are prepared! 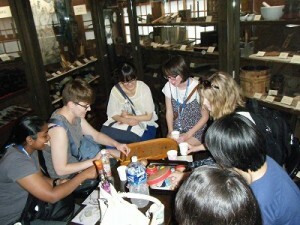 Afterward, students were able to sample the warabi mochi and the green tea for a refreshing treat! 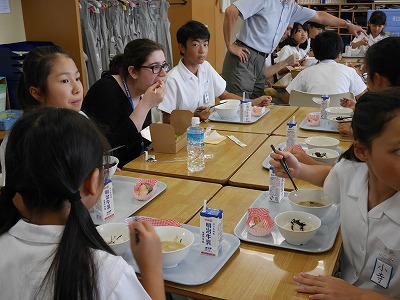 After eating, the international students were taught about proper table manners, which included an explanation on the correct method on how to hold chopsticks and also on how to avoid cultural eating taboos. 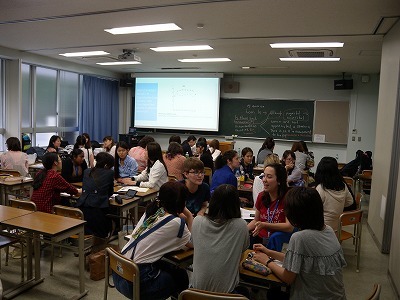 In the afternoon, Professor Christie presented on Japanese Women, addressing issues such as the employment and wage gap between women and men, what higher education can do to help alleviate this inequality, and current feminist issues. 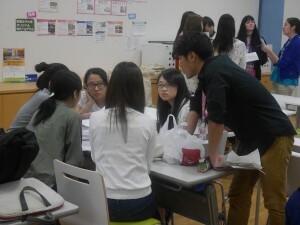 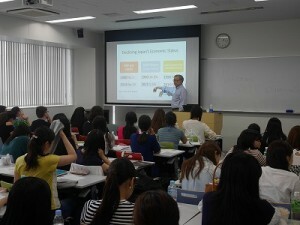 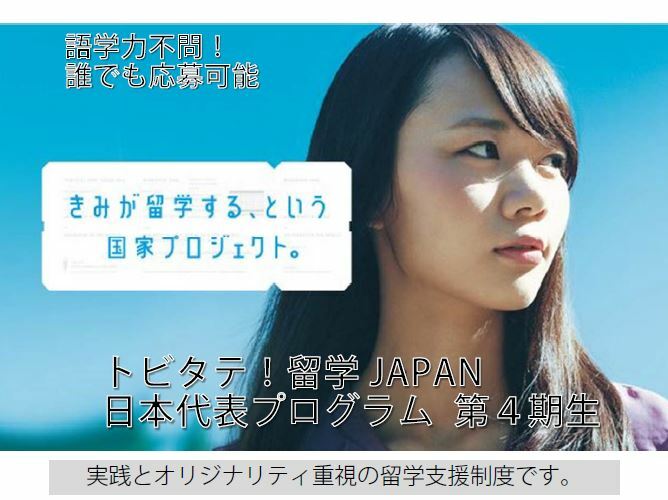 By using statistics and graphs, the students were able to see how women in Japan have been dealing with these issues. 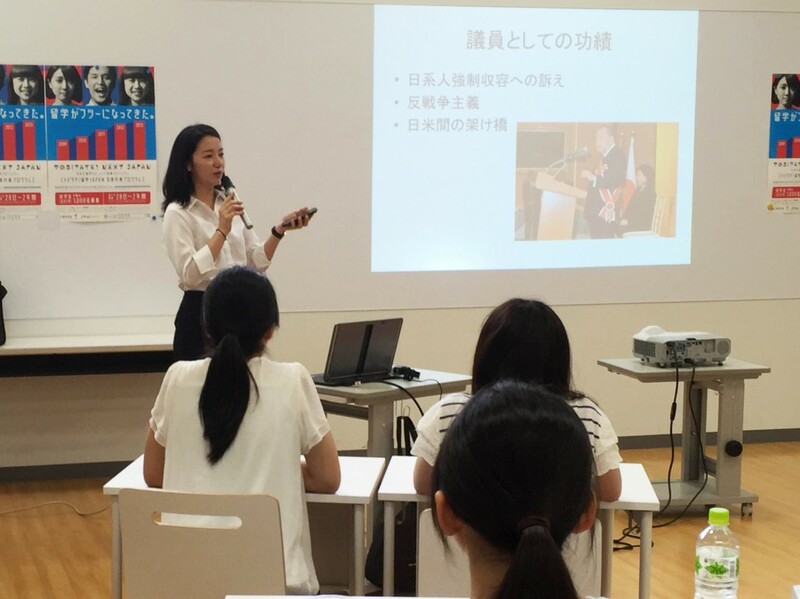 There was a discussion between the students about females roles in their own cultures, and the lecture ended on a lighter note about how, despite there still being gender inequality, there has still been some tremendous progress toward equality made in Japan. Today, the students went to the Karasawa Museum to learn about past education practices in Japan. This visit was the focus of a project that the students will present at the next workshop, where they will convince a specific audience to come to visit the museum! The museum had 3 floors of past artifacts, including toys from the Meiji and Edo Period and a replica of an elementary school classroom. 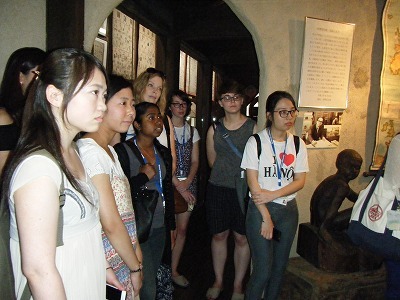 With a guided tour by the daughter of the founder of the museum, the students were able to get a lot of material for their presentations while also learning a lot about historical practices in schools. 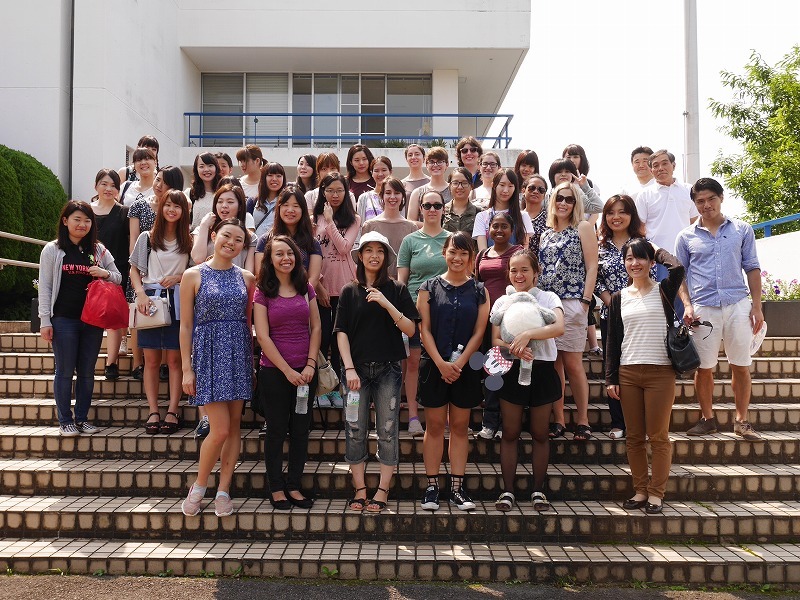 Today, SSIP participants got a chance to visit the Showa Elementary School, which is a private school located right within the main campus of Showa Women’s University! We were guided throughout many of the classrooms and got to watch some of the classrooms in action. Participants were surprised to see how independent and well-behaved (and not to mention adorable!) 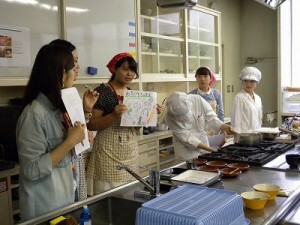 many of the elementary students were and how talented they were especially in the arts. 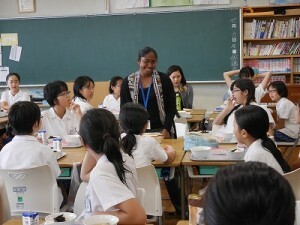 We also got to hear a short rendition of the school anthem by the music teacher on piano. 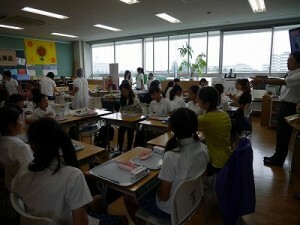 After the school tour, we gathered to get our bentos and had lunch with some of the older kids. 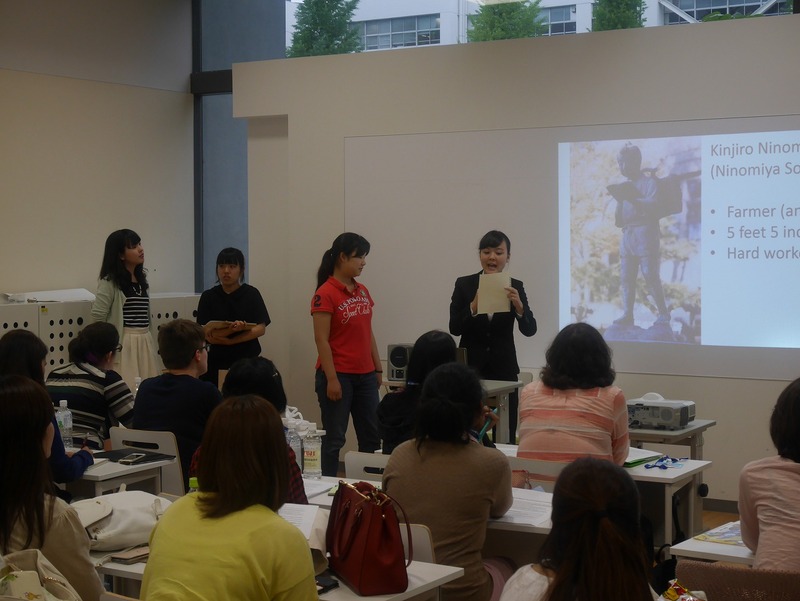 The children were extremely enthusiastic about talking with SSIP participants and despite the language barrier, everyone had a great time! 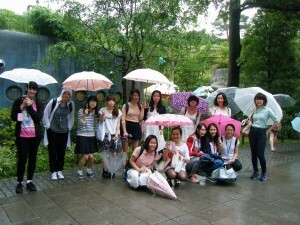 Today was full of travelling for the students, who travelled far to the Nezu Museum in Omotesando! 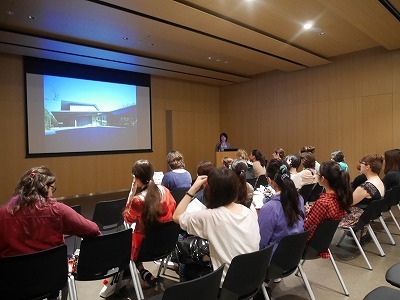 As an art museum, the Nezu Musuem comprises more than 7,400 objects including calligraphy, painting, sculpture, ceramics, lacquer, metalwork, bamboo crafts and textiles, all of which the students were able to explore! 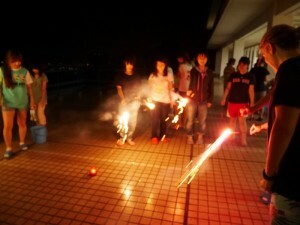 Additionally, the students were able to walk outside (despite the rain!) 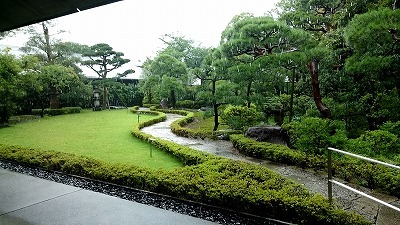 into a beautiful Japanese garden that reflected the traditional Japanese focus of tranquility and peace. Many of the students expressed that they were the most interested in the Katana exhibit, which displayed multiple katana swords along with katana sheaths and beautifully decorated medicine bottles. 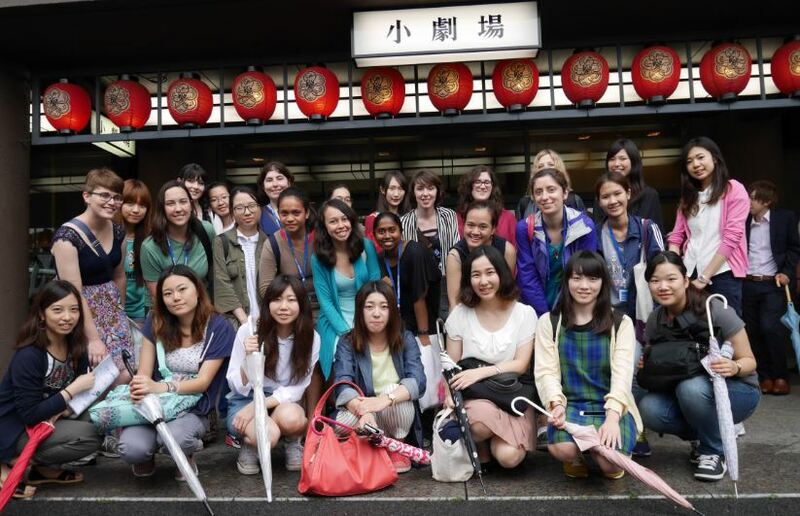 After a brief lunch time in Omotesando, the SSIP participants travelled to the National Theater to watch an actual Kabuki performance! The Kabuki performance that the students watched is one of Japan’s most famous, Yoshitsune Sembon Zakura. 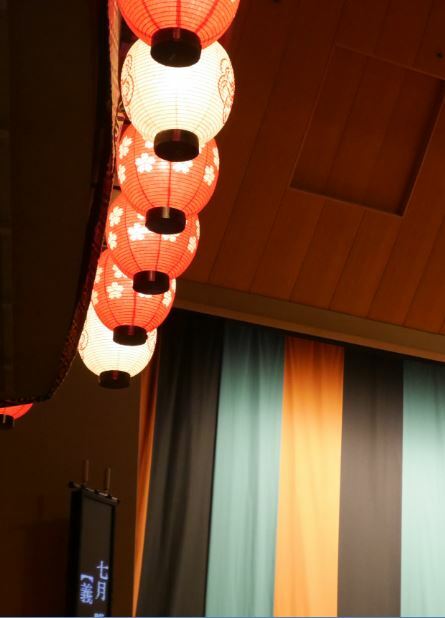 The play tells the story of the combatting Genji and Heike families, and the students were able to watch a short summarized version of the battle between Yoshisune and Tomomori. 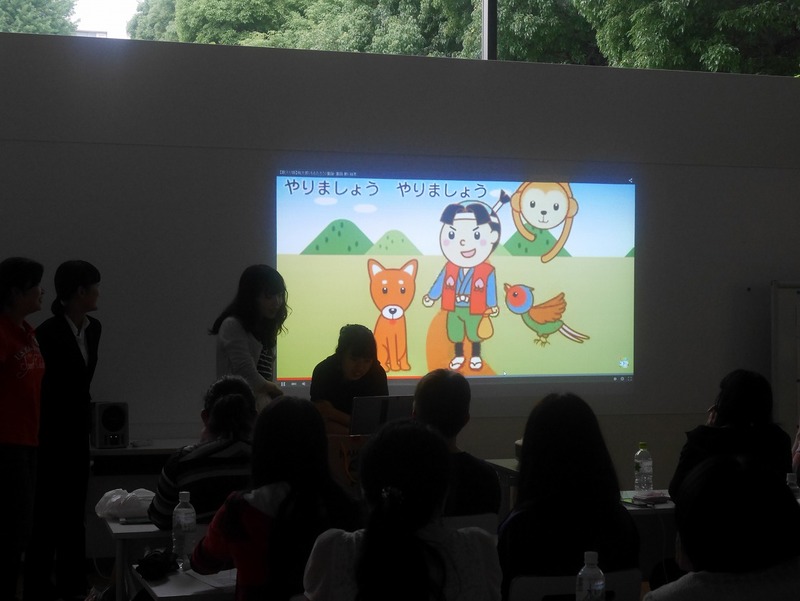 With helpful translations in between and explanations of the performance, it was an immersive and new experience for everyone! SSIP participants started out the morning with a lecture by Reiko Koga on the evolution of Japanese fashion and the increasingly popular concept of “kawaii”. 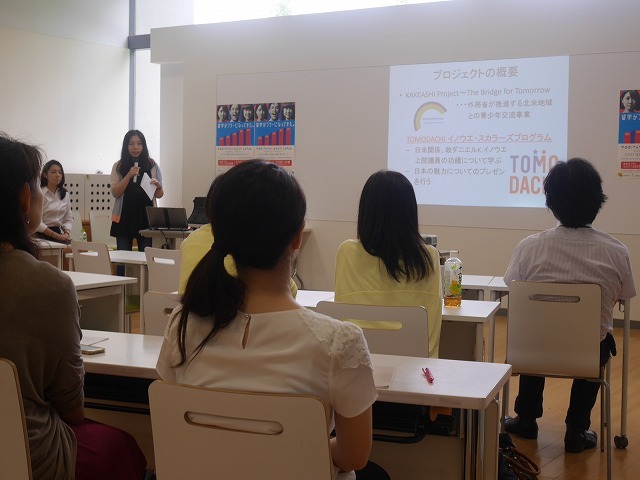 She explained to the participants about the spread of “kawaii” as it originated from various popular women’s magazines to becoming a worldwide phenomenon recognized in just about everywhere! She concluded the lecture with an interesting explanation of “yurakyara”, otherwise known mascot characters as an extension of the “kawaii” movement. After lunch, the students joined Professor Masaharu Kuhara’s class to learn about the gloablization of Japanese business. By comparing human resource management and company strategies of both American and Japanese countries, the students were able to understand deeper theoretical concepts of business, and also discuss how corporate strategies of different nations are reflections of their cultural surroundings. 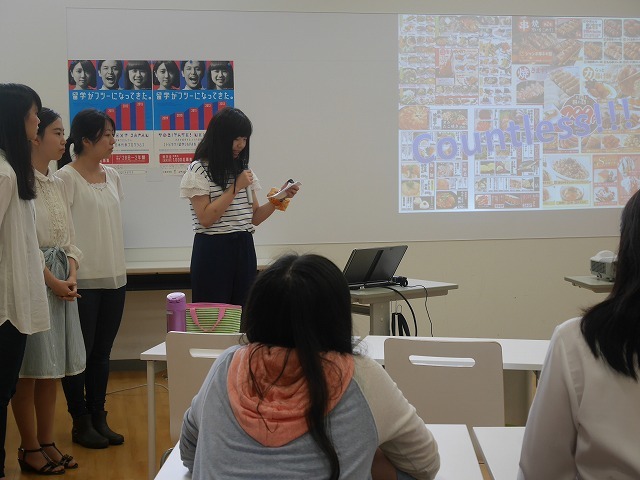 Some Japanese students gave presentations to us about the readings Professor Kuhara had given, and additionally the students were able to learn a lot about the Japanese economy– both its strengths and current issues. For the last lecture of the day, the students gathered back to the Global Lounge to learn about the history and aspects of Japanese Religion. 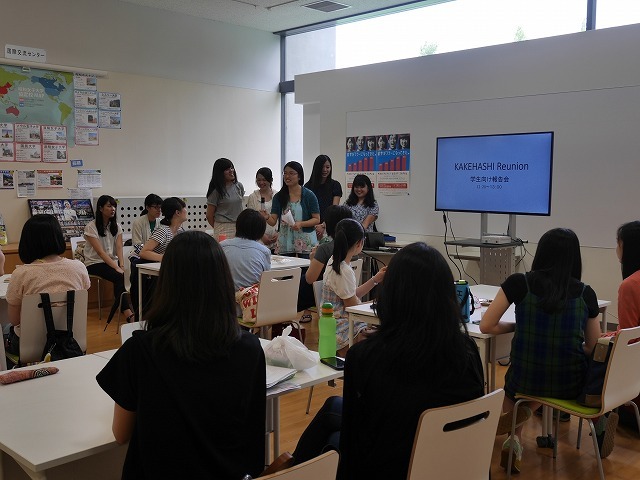 The lecture covered traditions of religious rituals, behaviors, and explored the significance of religion in contemporary Japanese society. Today we visited the super popular Studio Ghibli Museum in Mitaka! 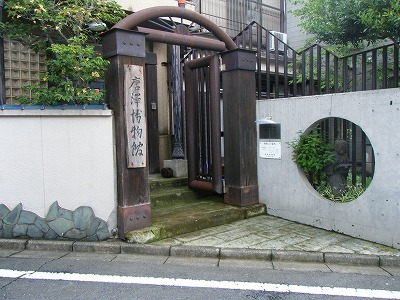 It took a while for us to get there and despite the rain (which prevented us from taking too many pictures outside), it was well worth the wait! Upon entering the museum, we were surprised by the admission tickets which included actual film strips from the film reel! We also got to see one of only a few short animated films only shown in the museum. 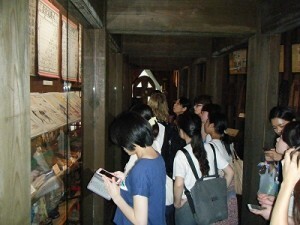 The museum itself had a very open layout where everyone was able to wander around freely and even touch some of the things on display like a full-scale replica of Miyazaki’s workbench! 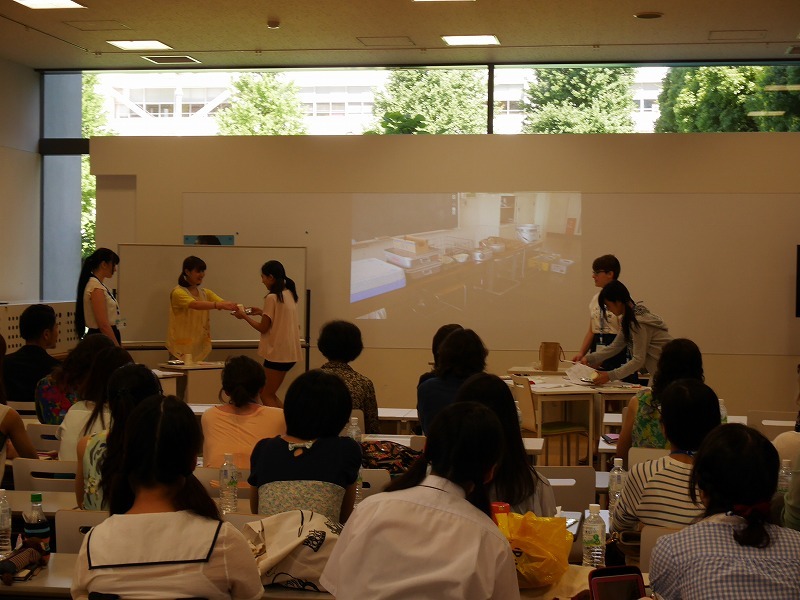 SSIP participants really enjoyed getting a chance to view their favorite Ghibli films like Spirited Away, Castle in the Sky, and Howl’s Moving Castle in a fun and interactive way.